The SQ series was a line of albums made for fans by fans. It featured renditions of fan favourites from Square Enix franchises such as Final Fantasy, Chronos, SaGa, Mana, and Live A Live made by all sorts of arrangers mostly external to Square Enix and indeed game music as a whole. Between 2009 and 2014, Square Enix released some ten albums in total, Love SQ, Cafe SQ, More SQ, SQ Chips, Cafe SQ, Beer SQ, Battle SQ, SQ Chips 2, Cure SQ, and SQ Swing, each with their own concept. There were many great moments on the albums, but the series ended up losing grasp of its concept and alienating many fans with its rapid expansion and uneven quality. 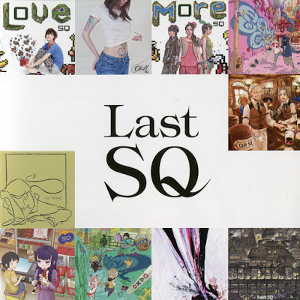 Their final album, Last SQ, brings the series to a close. It features four new tracks, but mainly serves as a nostalgic compilation of best tracks from the series. With some 32 tracks across two discs, could this be the definitive SQ release? Last SQ is filled with memorable remixes from across the SQ series. Starting with the Love SQ tracks, Square Enix remembers how the series started with livetune’s interpretation of Chrono Trigger‘s “To Far Away Times”. A good example of the series done right, the arrangement captures all the soothing and uplifting qualities of the original theme, while bringing an additional layer of dynamism with its surprisingly hard-edged beats. Final Fantasy III‘s “Eternal Wind (Migratory Birds Mix)” blends catchy chiptunes, punchy beats, and, perhaps in an attempt to capture the worldly influence of the overworld theme, ululations from a female vocalist. Until Love SQ, such ‘out there’ arrangements were usually only found in the fan arrangement scene and it’s pleasing that Square Enix producers decided to revisit this one. Less impressive but still definitive is Pia-no-jac’s piano-based medley of the Final Fantasy battle themes “Clash at the Big Bridge”, “Dancing Mad”, and “One Winged Angel”, which captures everything I dislike about fan-oriented piano arrangements. It features brash and rushed performances of each of the three pieces in conjunction with abrupt transitions, unpianistic octave leaps, and even some random shouting. The selections from Chill SQ are mostly disappointing. Square Enix left out most of the highlights of the original album, notably the tracks by Mitsuto Suzuki and Akira Kosemura. In their place we have the obnoxious rendition of Final Fantasy VI‘s “Aria di Mezzo Carattere” from pop producer Q;indivi, which rejects the grand operatic influence of the original in favour of a tacky house sound. 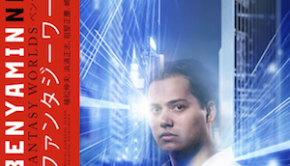 The meek Engrish vocal performance and contrived melody sound bad enough here, but the biggest killers are the fast-paced, disorientating dance beats featured from the one minute mark. Uyama Hiroto’s “Theme of Love” opens with an extended piano solo that has all the intricacy and emotion the Final Fantasy IV Piano Collections version was missing. 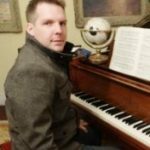 While the piece could have stood up as a solo piano work, eventually other elements enter such as electronic beats and faux Celtic instruments. Unfortunately, this is largely to the detriment of the original, since the sampling and mixing of the arrangement is often weak. Significantly better is the contemplation on three themes from Kenji Ito’s Seiken Densetsu from Hidefumi Kenmochi. Though also let down by superficial beats, it has a much more satisfying emotional arc and more balanced arrangement than the other selections. One of the most enjoyable arrangements featured here is Jabberloop’s interpretation of Final Fantasy V‘s “Ahead on Our Way” from More SQ. The arranger brings out all the exuberance of the original melody with the jazzy trumpet leads, while the piano chords and drum kit keeps the track buoyant throughout. Even better are the various interludes, which include punchy Gilgamesh references and deeper orchestral writing. Like all tracks on the album should have been, the entire remix is a fine tribute to an underlooked theme and a classic game. Yet while the trumpet lead on “Ahead on Our Way” is beautifully performed, the one in Sakerock “Rosenkranz” suffers from a feeble performance throughout. With its superficial stylings and monotonous development, the entire take is a detriment to the original and listeners are advised to pursue Masashi Hamauzu’s own arrangements instead. Rounding off the More SQ selection, Final Fantasy VIII‘s “The Extreme” undergoes a liberating shift from its moody saxophone-led opening into the uplifting piano-supported opening. Mouse on the Keys writes for both primary instruments in a mature and creative way, demonstrating the musicianship many other contributors lack, and keeps the arrangement entertaining and emotional throughout. Moving on to the selections from the series’ chiptune albums, while many arrangements here are technologically more humble than their originals, they are almost always as accomplished. Hidekazu Tanaka ensures Final Fantasy XIII‘s “Blinded by Light” is no less catchy and dazzling than its lavishly produced original. Masashi Hamauzu’s melodies and rhythms remain firmly intact and the samples chosen are expressive ones. SmileR’s “Hometown Domina” focuses entirely on conveying the melody of the original in the catchiest, poppiest way possible, albeit at the sacrifice of length and substance. DJ OMKT lines up the character themes from Chrono Trigger in a six minute medley taken from SQ Chips. Whether portraying Marle, Frog, Magus, or Robo, the arranger manages to preserve the quality of the original melodies, while ensuring the track develops in a natural way. Live A Live‘s ending medley is a delightful blend of the strong melodies of the original with the upbeat pop-flavoured beats. It doesn’t offer anything ambitious and can sometimes even be quite abrupt, yet it really radiates the youthful exuberance of Square’s RPG classics. There’s also a medley from Secret of Mana previously exclusively to the bonus album that came with SQ Chips 2 orders from Tower Records. While it departs from the chiptune focus of the series, it’s a fantastic tribute to Hiroki Kikuta’s score with all its acoustic and exotic instruments. 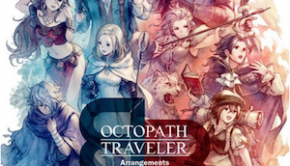 For some reason, whereas all other albums are represented by two or three pieces here, Square Enix decided to overrepresent Cafe SQ with five arrangements. No big problem since the album was probably the best in the series. Schroeder-Headz’s piano trio rendition of Final Fantasy IV‘s “Troian Beauty” captures the café concept beautifully. They offer a rich interpretation of pensive melody, emphasis on subtle chord shifts, and elaborate improvisations on piano. The Threads of Fate rendition hybridises jazzy piano parts with bouncy and eccentric bleeps, while Final Fantasy‘s “Matoya’s Cave” by ex-Falcom veteran Ryo Takeshita throws quite a punch with its blends of chiptunes and funk. There are two tracks from the bonus album give to those who bought the alubm from Tower Records. We get another performance of Final Fantasy VI‘s “Aria di Mezzo Carattere”, this time from The Reign of Kindo taken from the Tower Records bonus album. As one might expect from the band, the instrumentals are beautiful — combining sentimental piano figures with romantic violin and cello performances. However, Joseph Secchiaro’s melodramatic American vocal performance will be a select taste. The “Coin Song” rendition is also a mixed bag, given the arrangement is a little constrained by the original melody and develops in a somewhat contrived manner. I would have much preferred Duke of Pianeet’s amazing Xenogears suite to be included instead. Moving to later editions in the SQ series, there are three selections from the folk-focused album Beer SQ. Once again, these tracks provide fresh takes on favourites from Square Enix’s gameography. Take the gypsy jazz performance of the main theme of the Final Fantasy series, for instance. To a brisk polka-esque backing, the experienced lead instrumentalists from RÄFVEN — fiddle, trombone, and alto sax — inject new life into the melody. There’s a fine balance of straightforward interpretations and liberal improvisations, ensuring the gypsy influence is fleshed-out without losing the essence of the original. While by no means a creative masterpiece, it is an enjoyable little experiment. Written and performed by folk rock outfit Mohikan Family’s, “Can You Fly Sister?” captures the gliding feel of the Seiken Densetsu 3 original. The accordion and tin whistle leads really bring out the lyricism of the original melodies, while offering more colour and richness than the six channel SNES original could possibly do. Exclusive to the limited edition of Beer SQ, the arrangement of Unlimited SaGa‘s “The Seven Travelers” is beautiful enough to deserve a place here. YUKIYOSHI brings out the melodies on a radiant solo violin, while integrating classical and new age influences. Battle SQ divided mainly listeners, given its dubstep focus was different from the synthrock focus many expected. Square Enix included the two best tracks from the album here, both of them dedicated to Live A Live. Each track prominently integrates the melodies of two fan favourites from the SNES RPG into high-powered, fast-paced digitised arrangements. While both tracks are filled with booming beats and treble frills, the character of the original tracks is not lost. Thrusting rock riffs and nostalgic chiptune samples are hybridised into Miss Modular’s rendition of “Knock You Down!”, while The LastTrack’s tribute to the game’s Ancient China chapter is filled with pentatonic tonalities and traditional, albeit electronically manipulated, flutes. But perhaps the most impressive aspect of these arrangements is their sheer scope — each exceeding five minutes, the tracks incorporate plenty of buildups and shifts through their ever-exciting development. Less impressive is YUKIYOSHI’s “Decisive Battle with Magus”, which differs from other tracks with its orchestral focus, but lacks the timbral variety needed to appeal. The violin lead conveying the melody is hauntingly beautiful at first, but grows laboursome with repetition, while the accompaniment proves surprisingly thin and barren given the uniform focus. The series’ heyday was well behind it when Cure SQ was released, a very niche album dedicated to recorder renditions of Square Enix favourites. Just one track from this album is featured here, specifically Yoshiyuki Kawaguchi’s take on “GO! GO! Buriki King! !” from Live A Live. A humble but charming rendition of the cult classic featuring tender performances from soprano recorder, ukulele, and melodica. It’s about all that was needed. There are also just two tracks from the series’ last proper album, SQ Swing. One is a seven minute medley dedicated to the series Kingdom Hearts best themes, notably “Organization XIII”, “The 13th Struggle”, and “Dearly Beloved”. Mostly written for jazz trio, the track combines robust performances from trap set and double bass with a standout performance from the pianist. Dark, deep, and abstract, it’s one of the best tracks among the series’ latest offerings. King Columbia’s take on “Johnny C Bad” elaborates on the Chuck Berry influences on the original. It’s competently styled and excellently performed, with standout brass and piano work, but ultimately lacks the originality needed to stand up with the rest of the series. The track worked fine in Final Fantasy VI as a parody, but didn’t really deserve revisiting. The four new tracks created for More SQ bookend each of the discs. All four were created by Megumi Shiraishi, a classically-trained composer and orchestrator known for her works on television dramas. Consistent with this background, Shiraishi’s contributions here mostly offer cinematic takes on fan favourites, including Chrono Trigger‘s “World Revolution” and “Chrono’s Theme”, Final Fantasy Adventure‘s “Battle 2”, and Live A Live‘s “Wings That Don’t Reach”. Her arrangements emphasise the emotions of the originals with rich orchestrations and stunning solo performances. However, they are somewhat held back by an overreliance on Hollywood clichés, for example sweeping orchestration, booming percussion, and ululating vocals. More cripplingly, the first three of her arrangements cut short around the two minute mark, which is very disappointing given the promise they held as well as the lack of original content in Last SQ. 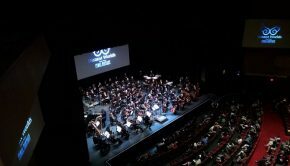 Thankfully, the final arrangement spans some five minutes with heavy rockestral renditions of “Chaos Temple”, “Dancing Mad”, and, to bring the series round full circle, the Final Fantasy main theme. However, it still feels basically like a conventional medley made-for-hire rather than a creative “by fan for fan” take. Overall, these exclusives aren’t worth tracking the album down for. The most suited audience for Last SQ are those that have purchased no or few SQ albums in the past. This album presents tracks from the entire series into a reasonably-priced, fully-fledged two disc compilation. As a result, the album provides an easy way to enjoy highlights from the series. There’s bound to be something here for everyone, but keep in mind that not all the tracks on the album were well-conceived and many of the most enjoyable from the main albums are absent. As for those who already own most items from the series, there’s nothing here for you. The four new tracks are entirely skippable, while the returning material will be nostalgic but not worth shelling 3000 JPY on. Here’s to you, SQ. Posted on December 28, 2015 by Chris Greening. Last modified on December 29, 2015.